FromSoftware has released a new story trailer for its upcoming title, Sekiro: Shadows Die Twice. The trailer, featured in the video above, teases the protagonist’s dark past, while also planting a seed for the horrors that he will unleash throughout the game’s narrative. The story trailer’s narrator, apparently the protagonist’s mentor, makes note of the atrocities that occurred during the tail end of Japan’s Sengoku period, which lasted from approximately 1467 to 1567. Seemingly, Sekiro’s lead was orphaned by the warring era, and brought under the care of the narrator, a warrior, who now appears shocked by what their ward has become. 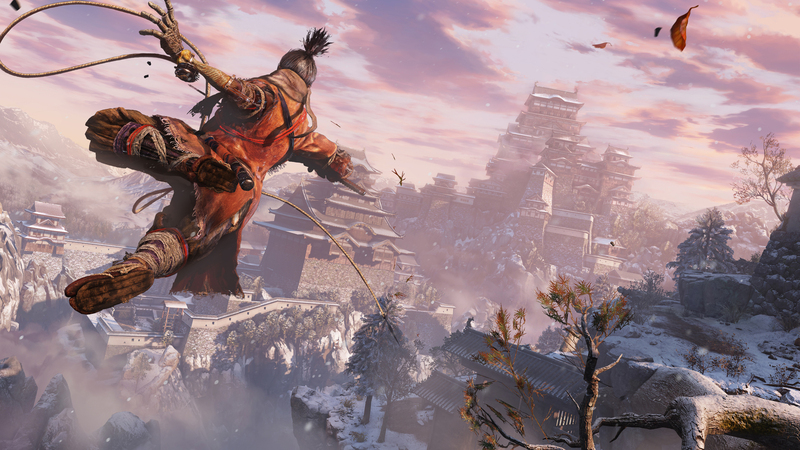 Details on Sekiro’s story have been scarce for some time. We know the protagonist is a disgraced shinobi, whose lord is abducted on their watch. Apparently, in the fight to protect his lord, the shinobi sustains horrible injuries, one of which results in the loss of an arm. After having the limb replaced with a weaponized prosthesis, the shinobi sets out to return his lord to safety. Online, theories abound about how the narrative will play out. One theory in particular was sparked following the release of the ESRB’s rating summary for Sekiro. According to the theory, it’s possible a small child, perhaps a prince, may sacrifice himself to allow for the shinobi’s revival. As such, it’ll be intriguing to see what kind of speculation crops up once the trailer above has more eyes on it. Thankfully, the wait to find out exactly how this narrative unfolds is almost at an end. Sekiro: Shadows Die Twice will come to the PlayStation 4, PC, and Xbox One this spring on March 22nd.